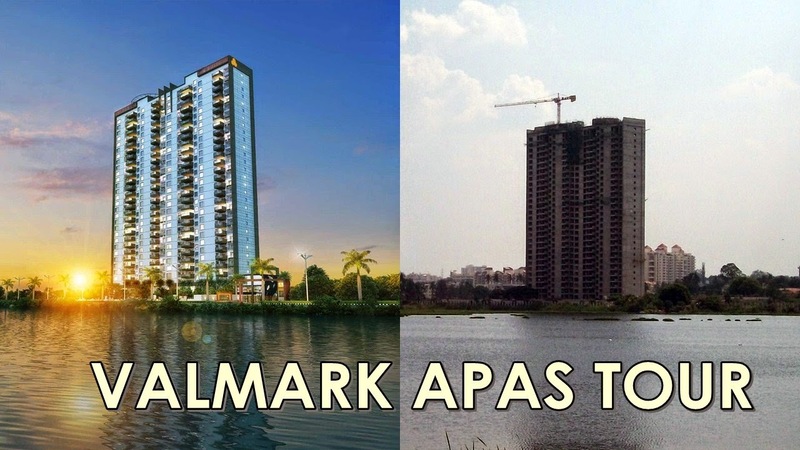 Valmark Apas is an upcoming residential project by Valmark Group, located off Bannerghatta Road on the western side of Hulimavu Lake shoreline this Skyscraper with 29 Floors with 112 units of 3,4 & 5 BHK kingsize apartments and sizes ranging from 3170 to 4000 sq.ft. The project is scheduled to be handed over by 2016. With a land area of 2 Acres and a single rectangular-tower the promoters have made sure to have all the apartments get the best view of the Lake and morning sunrise as the tower as well as all balconies faces east. For company Valmark Apas has quite a High-Profile Neighbors with Prestige Nottinghill, Nitesh Hyde Park, Hiranandani Queens gate and Mantri Pinnacle all in the close vicinity this is going to be the next big place to live in. Presently the prices are upwards of Rs.2.4 Crores for 3BHK and Rs.2.7 Crores for 4BHK. Sir, I read about the btm layout 6th stage by bda has been formed on hulimavu lake bed by encroachment what about other properties built so close to lake will there be any demolition like it was done in sarakki? Sohan thanks for dropping by, the CM has assured that the NO BDA Layouts will be touched for demolition even if they are made on lake beds, but the same cannot be said about private layouts, one interesting thing about Hulimavu lake is that it was handed over to BBMP for protection and then BBMP used part of the lake bed to built a school and play area.